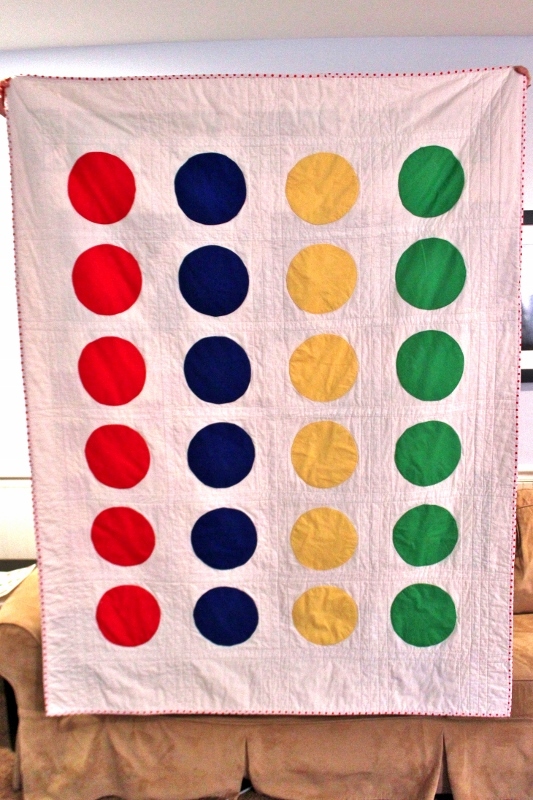 As a group present for their whole family, I made Nik’s brother, sister-in-law and two nephews a Twister quilt! It’s good for cuddling or playing! 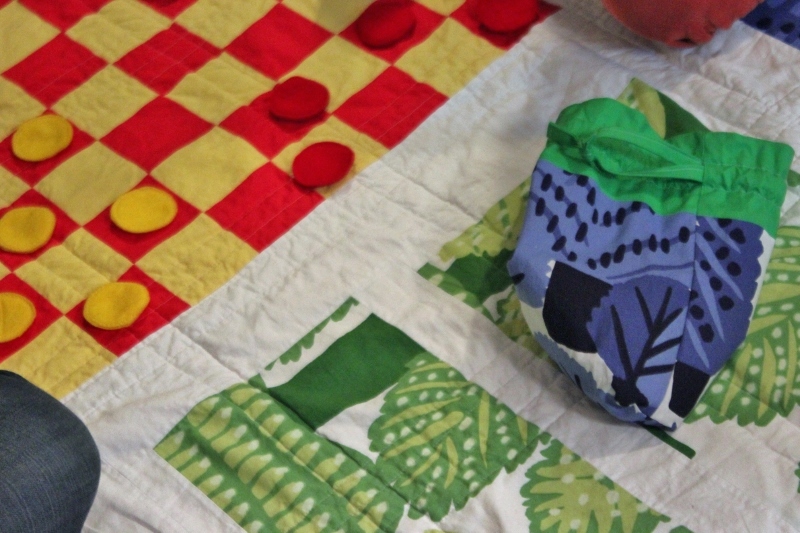 Yes, that’s a Twister game board accurately replicated in cloth! 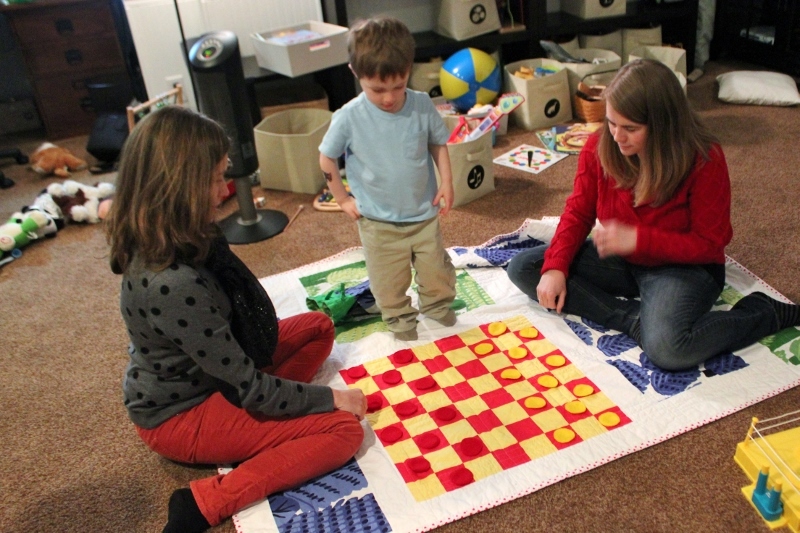 On the back, I put an over-sized checkerboard. 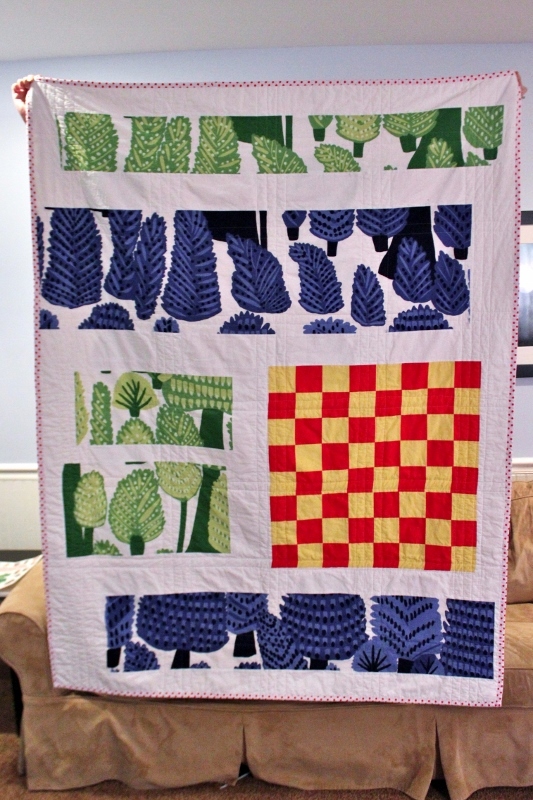 and cool Marimekko trees too! 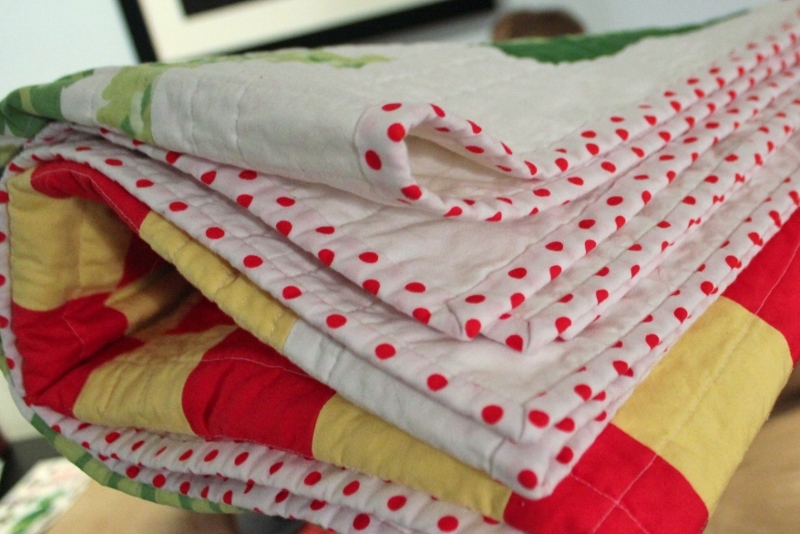 Now I just need to make one for our family! 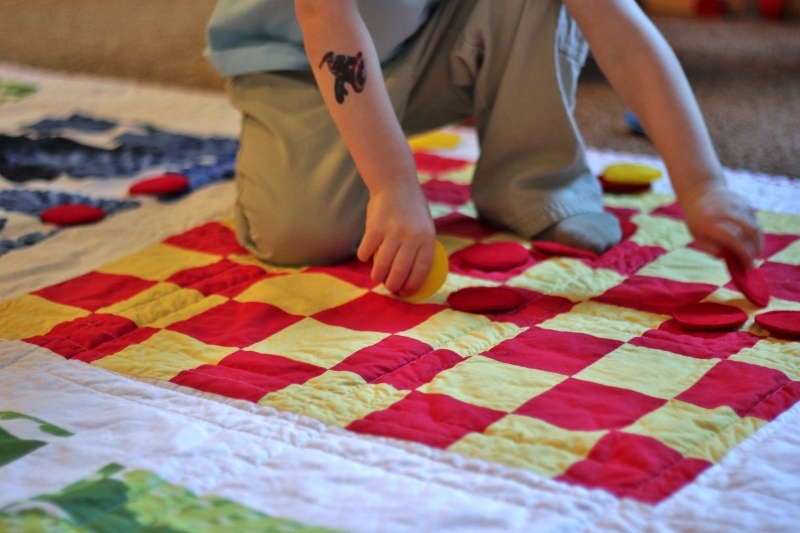 This entry was posted in family, sewing and tagged Twister quilt. Bookmark the permalink. 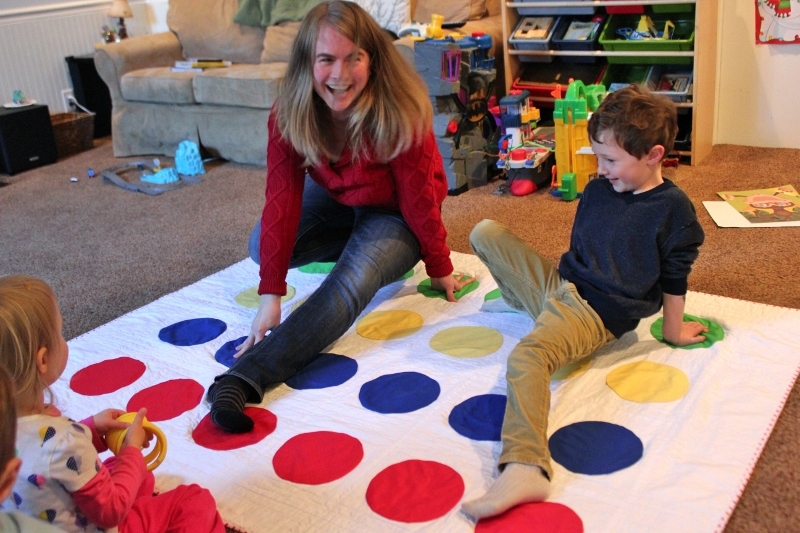 4 Responses to Handmade Christmas 2013: A Twister Quilt For Andreas, Nikki, Alex, and Luke!